​Over thousands of orders and lots of happy customers. Try Us Out For FREE. If you are not 100% happy with our service, call us within 24 hours of delivery. 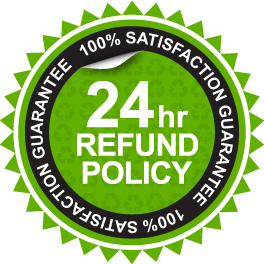 We will pick up our supplies as soon as humanly possible and offer you a full refund. 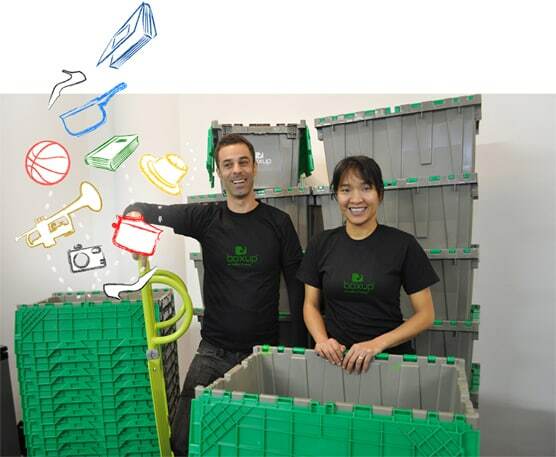 Fewer boxes to pack and move: Our crates are stronger and have greater storage capacity than standard cardboard boxes, allowing you to pack more in. Fewer boxes = less money. Reduce damage costs: Broken items occur frequently during a move and are expensive or impossible to replace. Our heavy-duty, crush-proof, water-proof, industrial grade crates protect your properties better than cardboard boxes. Lower Moving Labor Cost: Our crates have ergonomic carrying handles designed for quick and easy lifting and moving. They load twice as fast as cardboard boxes. Our system will shave hours off your mover's total labor bill. Considering professional movers cost over $100 per hour in NYC, cutting just 15 minutes of labor can save you $25! 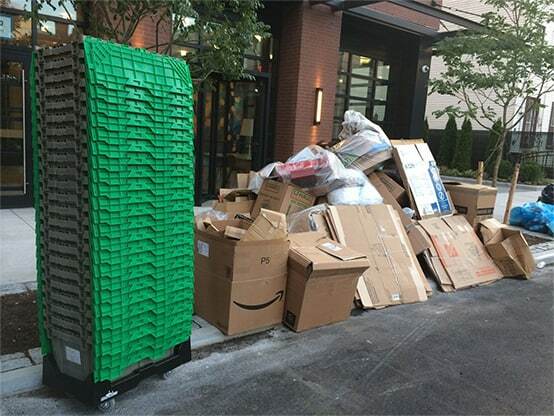 Save on trash hauling costs (for commercial customers): New York City requires commercial establishments to pay private haulers for waste removal. There is no need to scrounge around for used cardboard boxes, head to a store to buy boxes, stand in checkout lines, lug boxes home, assemble boxes, tape boxes, unassemble boxes, flatten boxes... you get the point. Skip these annoying tasks and save time. In addition to our reusable crates, we offer 13 other products including Reusable Glass Dividers, Dish Dividers, Wardrobe Boxes, Garment Bags, Linen Stuff Sacks that are cost competitive to cardboard boxes. We deliver your entire order to your current address and pick up at your new address for FREE! Need more time? No problem. Our rates are discounted for additional weeks. Our durable crates are fully recyclable and can be reused about 300 times compared to 2-3 times for cardboard boxes. At the end of its service life, a BoxUp crate is either recycled locally or sent back to our manufacturer for reprocessing into other useful products. Our wardrobe boxes can be reused about 50 times and Glass and Dish Dividers over 100 times. Due to sanitary reasons, mattress bags are sold for one-time use. GreenWrap, our replacement for bubble wraps, are fully biodegradable, recyclable and compostable. We vaccuum and sanitize our crates, wardrobe boxes, dollies and hand trucks with an EPA approved sanitizer before delivering to you. In addition, these rentals undergo our deep steam cleaning every quarter. Our cleaning process is non-toxic and uses very little water. Our recycled nylon Garment Bags and Linen Stuff Sacks are laundered with Seventh Generation detergent. We offset our carbon emissions from transporting our products to you through the purchase of carbon credits from Terrapass. Most of our products are made in USA - no child labor, no unsafe working environment, no gender abuse. BoxUp is a woman-owned and operated NYC business and an equal opportunity employer. To top it off, we donate to GrowNYC to support youth environmental education program. Our founder and Chief Eco-Agent, Lily Tran, is a long-time resident of New York (nearly 30 years) and has lived in neighborhoods all over Manhattan and Brooklyn. Lily is a no-nonsense, efficient New Yorker. She understands the hassles of moving – on average, she has moved once every two to three years before settling into her current home in Carroll Gardens. Like other New Yorkers on the go, she has become an expert at assembling cardboard boxes, packing belongings, hiring movers and posting free moving boxes on Craigslist. She is eager to help New Yorkers move cheaper, faster, and easier while reducing waste. Prior to establishing BoxUp, Lily spent eight years working in the financial services industry, Lily decided to pursue a more meaningful way of living by earning a Master of Science in Sustainability Management from Columbia University. Her quest took her to volunteer positions with clean energy projects at the African Development Bank in Tunisia, and E+Co in Tanzania. Pedro Rolo, our Eco Operations Manager and husband of Lily, recently moved to New York from Lisbon, Portugal. He loves riding the subway, running in Prospect Park, shopping at the farmer's market and cooking up a storm. Previously, Pedro owned and operated Loreto Design, a graphic design company in Lisbon. He is obsessed with details and customer service. When Pedro isn't delivering boxes, he is busy with his artwork. Contact Lily or Pedro at info@boxuprental.com to discuss your next move!